Olalekan Ajayi, Abuja: The Central Bank of Nigeria (CBN) on Tuesday, March 27, 2018, intervened in the inter-bank sector of the Foreign Exchange market to the tune of $210 million. Figures obtained from the Bank on Tuesday, March 27, 2018 indicate that the Wholesale sector of the market got a boost of $100 million, while the Small and Medium Enterprises (SMEs) and invisibles sectors were each offered $55 million. According to the Acting Director, Corporate Communications Department at the Bank, Isaac Okorafor, Tuesday’s interventions were in continuation of the Bank’s commitment to maintain stability in the market as well as enhance production and trade. Okorafor said the monetary regulator was pleased with the cooperation by players in the inter-bank market, which he noted had enjoyed a great deal of stability and seamless access of customers to foreign exchange following regular interventions by the CBN. Continuing, Okorafor expressed optimism that the first Monetary Policy meeting (MPC) of the CBN billed for early next month will add fillip to the monetary policy activities of the Bank. He therefore urged Nigerians to remain optimistic about the economic outlook for 2018, stressing that the CBN remained people-centred. 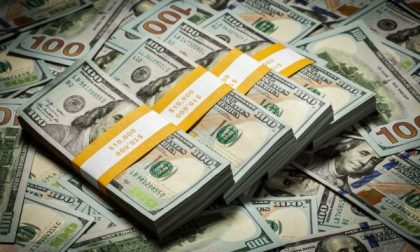 It will be recalled that the CBN had last Friday, March 23, 2018, sustained its intervention in the Forex market by injecting the sum of $339.89 million in the Retail Secondary Market Intervention Sales (SMIS). Meanwhile, the naira exchanged at N360/$1 in the Bureau De Change (BDC) segment of the market on Tuesday, March 27, 2018.